As a metaphor, it is almost too perfect. A noble and beautiful Church, renowned throughout the world. Restoration work is ordered, and by some imprudence or malice, or both, a fire is kindled. Quickly it becomes an uncontrollable blaze. Where are the firemen? 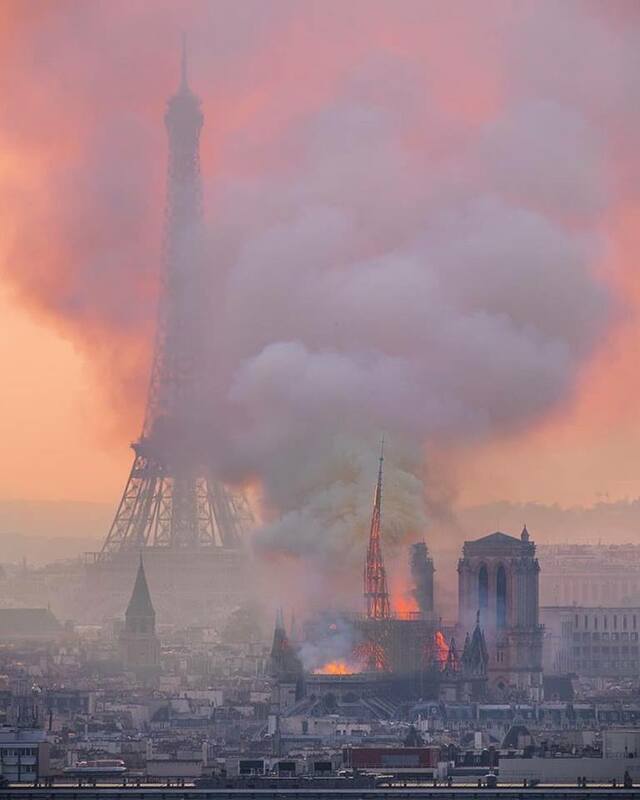 The spire collapses, so the church no longer seems to the eyes of men to point heavenwards. Some faithful spontaneously gather, praying, helpless. The Mohammedan openly exults. 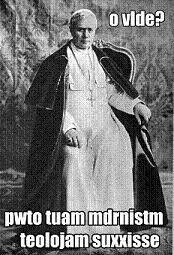 A priest of tradition valiantly enters the blaze and saves three things: the Holy Eucharist; the sign of the Lord’s Passion; a memorial of Christendom (how galling for the ecclesiastical establishment in France that a spiritual heir of Marcel Lefebvre should be the hero of the hour!) 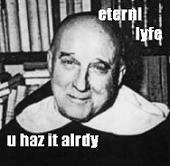 The altar of Mass-towards-man fails; the altar of Mass-towards-God stands. The president of the Masonic republic, a former Catholic, vows: We will rebuild her. God owes no one a supernatural end or the beatific vision. As it happens God created man with a supernatural end and so for the beatific vision. All other things being equal therefore He will bring any given man to that end. All other things are not equal for the human race has dishonoured God by original sin and offended him by individual actual sins. God, on account of His justice, will bring a man who dies guiltless of any actual sin but participating in original sin (so an infant below the age of reason) to the proportionate natural end. God, on account of His justice, will allow to die in his sins and suffer perpetual torment a man who dies guilty of actual sin and participating in original sin. God antecedently wills the salvation of all men and has made satisfaction for their sins. (a) A man who dies unevangelized before the age of reason will be brought by God to his proportionate natural end but excluded from beatitutde on account of the dishonour done to God in original sin. (b) A man who attains the age of reason unevangelized and at that moment orders himself to the due end seeking to worship God in the manner He has appointed will receive the infusion of the articles of faith in that moment, be cleansed of original sin and ordered to the supernatural end by sanctifying grace. (c) A man who attains the age of reason unevangelized and at that moment fails to order himself to the due end and fails to seek to worship God in the manner He has appointed sins mortally against the first commandment. God will allow him to die in his sins and suffer perpetual torment unless he falls into category (d). ii. ensure that he is evangelised by natural, preternatural or supernatural means before death. 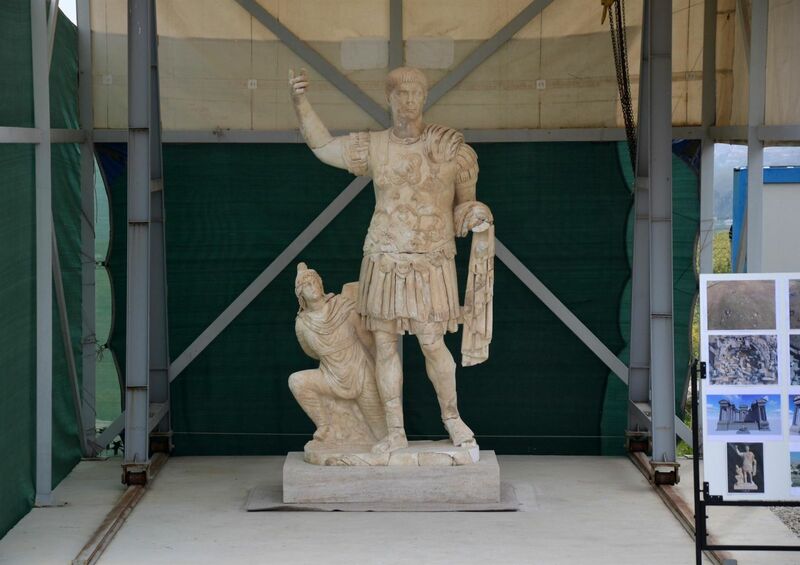 …a ten-foot statue of the Emperor Hadrian, just discovered. The statue features Trajan in full military regalia, including decorated body armor, a short chiton (the Roman equivalent of a Scottish kilt), and a cloth falling from the left soldier*. A bound enemy soldier can be seen cowering behind the victorious Trajan, who strikes a domineering pose with his right arm in the air. The statue was completed in 113 AD, just four years before the emperor’s death. If the gold head of the statue in Daniel 2 signifies Nebuchadnezzar/Babylon, then is the golden idol in Daniel 3 an idol of Nebuchadnezzar himself? An extension of the gold head from Daniel 2 as an act of refusal to accept that his kingdom will pass into the hands of another metal/empire?